Azurine is a textile collection by Chris Olson. This collection is inspired by sunshine on water. Walking on the beach. Island daydreams. 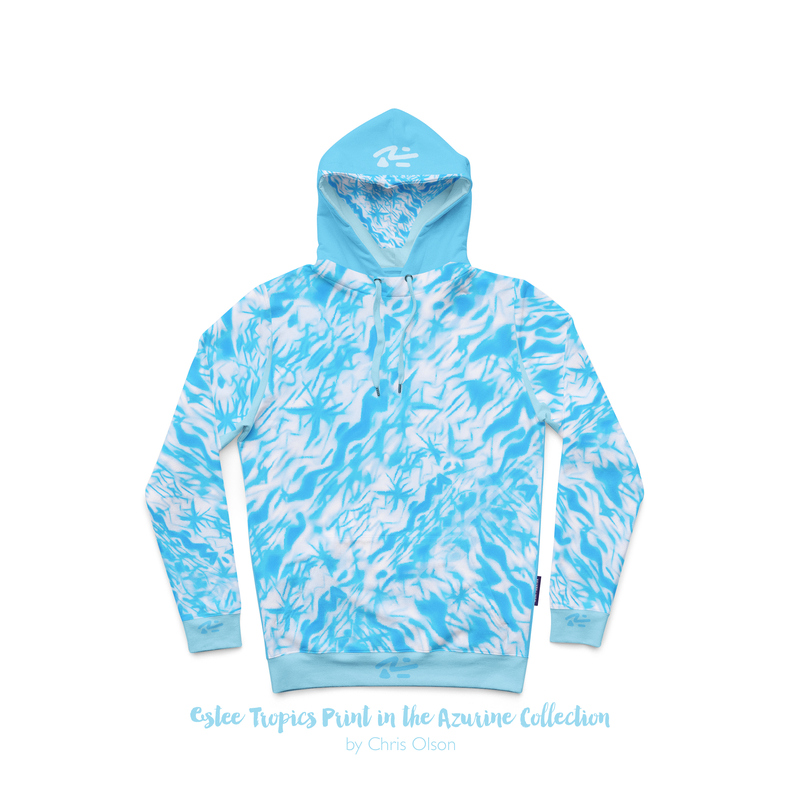 Patterns featured here include 1) Estee Tropics print on a hoodie; 1) Estee Tropics; 3) Laurel; 4) Lacee Dreamscape; 5) Azurine. This collection includes more patterns. You can view them on my website in the Client Login section. If you are a Licensee or Manufacturer, the entire Azurine Collection is available for viewing and purchase on my portfolio website at ChrisCocoMedia. To gain access to this password protected gallery, I invite you to visit my Client Login page and request access to Chris Olson's online portfolio. Azurine is a textile collection by Chris Olson. This collection is inspired by sunshine on water. Volleyball games at the beach. Estee Tropics textile design in the Azurine Collection by Chris Olson. Patterns featured here include 1) Estee Tropics print on a hoodie; 2) Estee Tropics; 3) Laurel; 4) Lacee Dreamscape; 5) Azurine. This collection includes more patterns. You can view them on my website in the Client Login section. 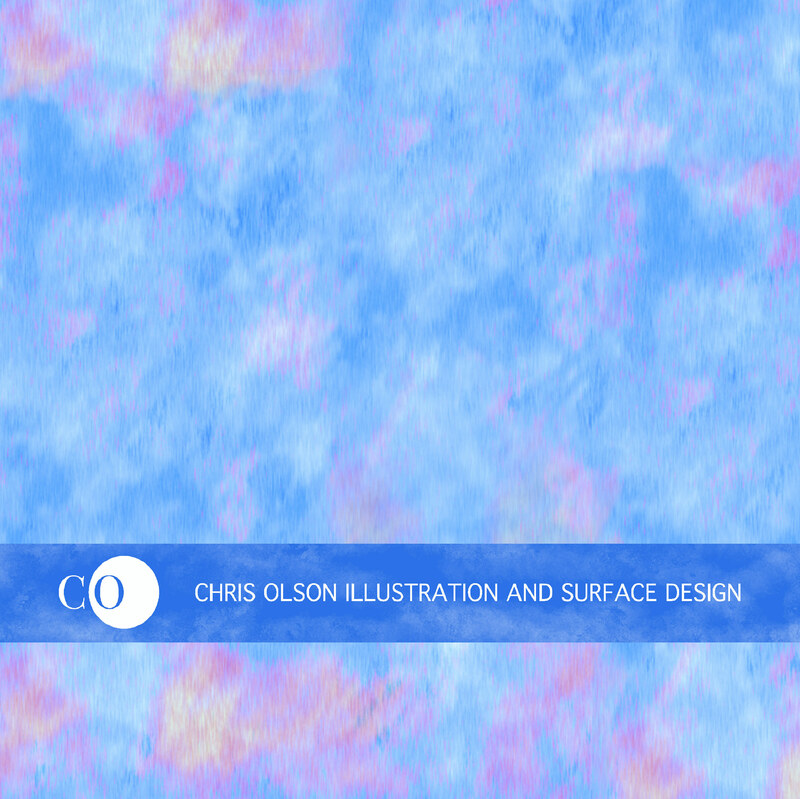 If you are a Licensee or Manufacturer, the entire Azurine Collection is available for viewing and purchase on my portfolio website at ChrisCocoMedia. 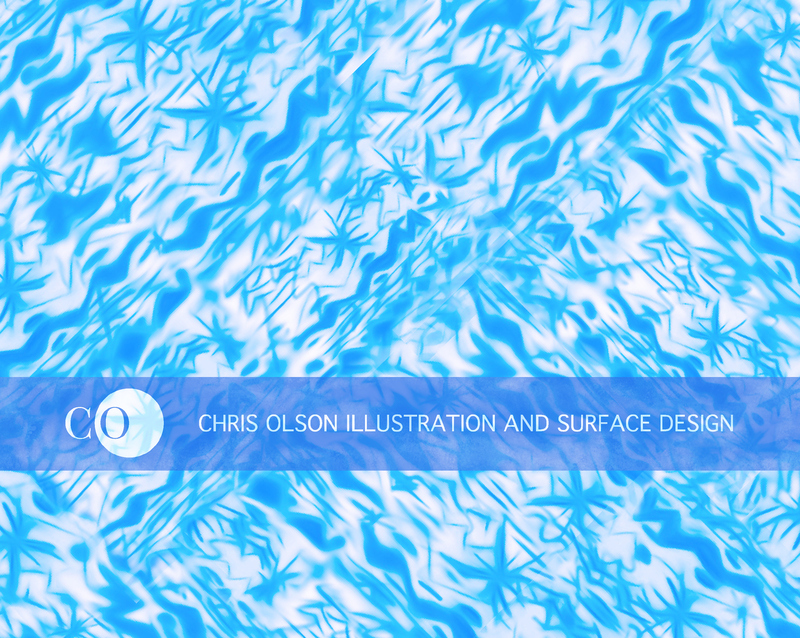 To gain access to this password protected gallery, I invite you to visit my Client Login page and request access to Chris Olson's online portfolio. 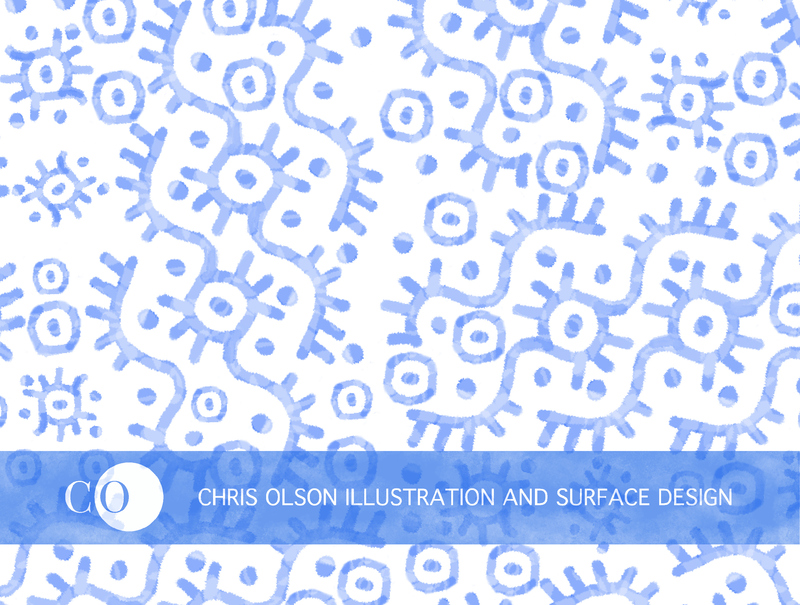 Laurel pattern in the Azurine Collection by Chris Olson. 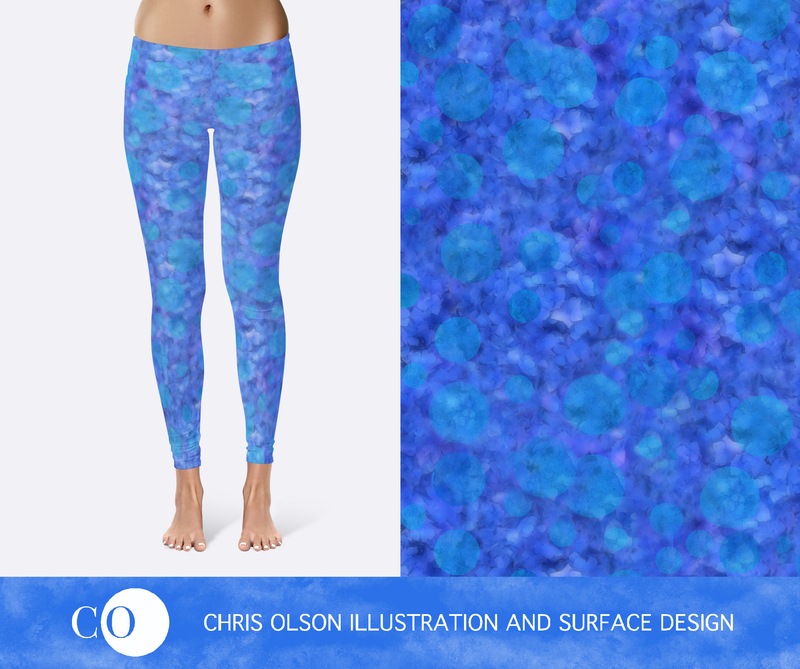 Azurine print in the Azurine Collection by Chris Olson.